For those of you born in 1954, 1966 or 1978, you share this year with: Genghis Khan; German Chancellor Angela Merkel; French President Francois Hollande; Japanese Prime Minister Shinzo Abe and British Prime Minister David Cameron. Back in 2007, Q&A celebrated the close of year one in business with the beginning of the Chinese Zodiac, the year of the rat. Since then, we have hostedan annual party for clients, vendors and friends—missing only the rabbit when we moved office space. Check out the party photos on Facebook. If you want to get hi-res copies of your party portrait, email us. 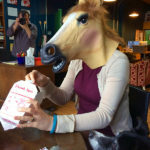 Partying is serious business around here so our planning begins months in advance starting with the theme and invite design (we assign the project to our newest designer as a sort of test). CNY invite designs flirt with both illustration and photography. 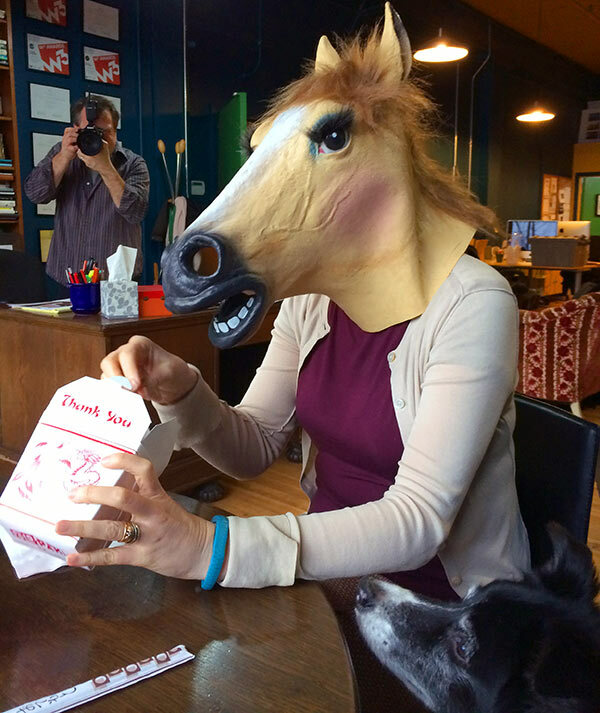 After a trip to Archie McPhee’s for horse head masks it was decided that we’d use photography this year. For obvious reasons. We were lucky that one of our go-to shutterbug’s, Darryl Bernstein, was available for the shoot. Darryl is a great collaborator and added some wonderful twisted humor to the final product. 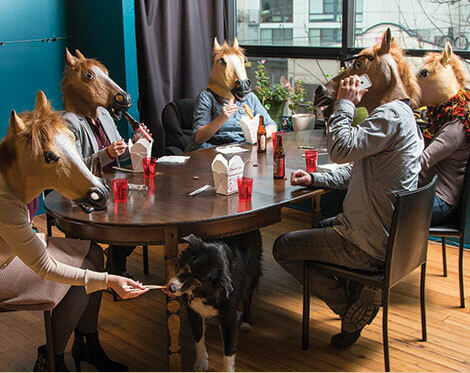 Our team of talent was also fortified on beer and Chinese food and the design was born.